Explore custom medical device components, parts, and products with the premier medical device component manufacturing team at Frank Lowe. We are the premier manufacturers for medical device components. We bring more than 60 years of experience creating die cut medical device components and a wide range of other custom die cut components for the medical device industry. We pride ourselves in our state-of-the-art equipment and our ability to create innovative manufacturing solutions that result in superior medical device components. Our medical device manufacturing components often result in reduced cost and/or improved assembly processes. Regardless of your medical device or your specifications, we will work closely with you to help you explore, pursue, and create excellence. We offer extensive knowledge about each of the elastomers we use to create medical device parts. We use our in depth understanding of the characteristics of each type of elastomer and effectively match it with your needs, wants, and expectations. Then, we will suggest the best materials for your medical device component with respect to your budget. We also offer a long-standing relationship with the most reputable material manufacturers in the industry, such as 3M. At Frank Lowe, we always start with your problem and end with an effective solution. Our experienced team of engineers and medical device component manufacturers will collaborate with you to create 100% custom medical device components. Explore all of your material options for your specific medical device component. Pursue each option understanding the cost-benefit analysis and the implications of each. Create your medical device component from the ideal material based on the needs of your application and your budget. In many instances, we help our customers create a competitive advantage, improve the efficiency of the manufacturing process, and improve product quality. We would love to put our expertise to work for you. Let's talk. We're ready to listen. Contact the expert medical device component manufacturing team at Frank Lowe today. Not sure about the exact materials or specs required for your medical device product application? Let's chat. We'll help you find the right solution. Are You Using The Right Materials for Your Medical Device Components? Let's talk. 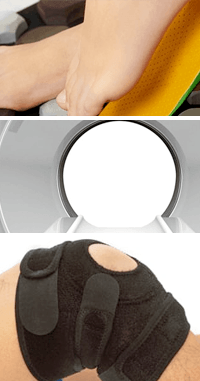 We'll help you choose the right materials for your medical device product application.